It’s been five years since the last New Model Army album, five years in which events have forced the long running band to draw a line under their past. Some of these were celebratory – an extensive 30th anniversary tour, a comprehensive reissue of their debut album – others less happy, such as the departure of bass player Nelson after 22 years of active service. More tragic was a fire in their studio that destroyed years of live recordings and most of the band’s instruments, and most awful of all the death of their long serving manager Tommy Tee, just prior to the recording of their last album, 2009’s Today Is A Good Day. All of this enforced not only a long break between records, but an audible attempt to forge forward, rather than looking back. 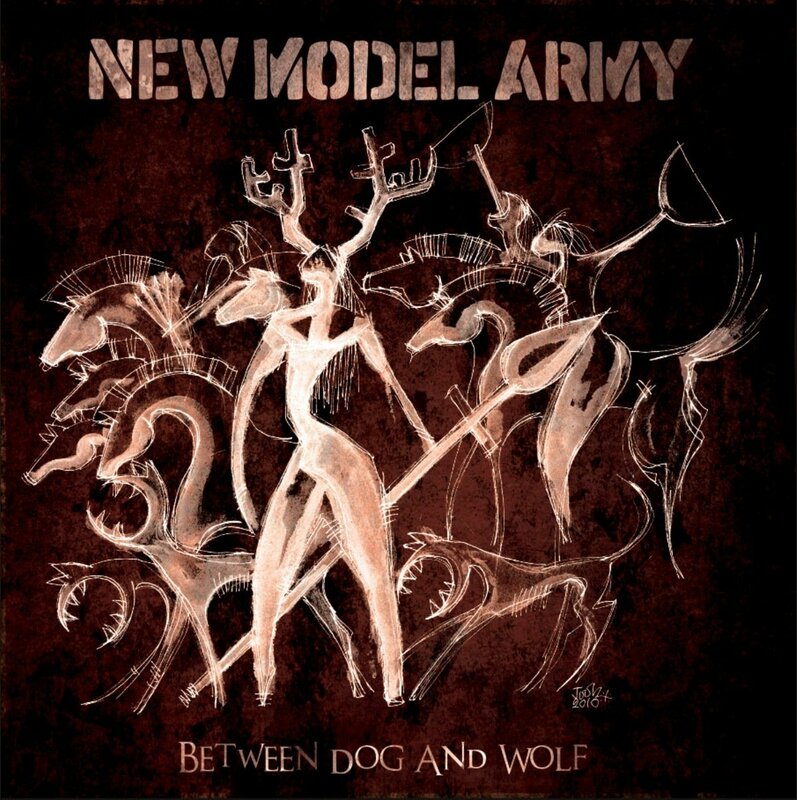 New album Between Dog And Wolf, while just about recognisable as New Model Army, throws out much that we know about them: the earnest punk, much of the overt politics, the world-muso folkiness and most of the guitars. What’s left is a lean, textured record of murder ballads and gothic Americana led by tom-heavy rhythms. via The Quietus | Features | A Quietus Interview | Dog Soldiers: New Model Army Interviewed.